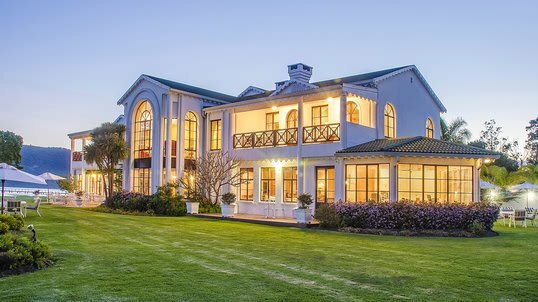 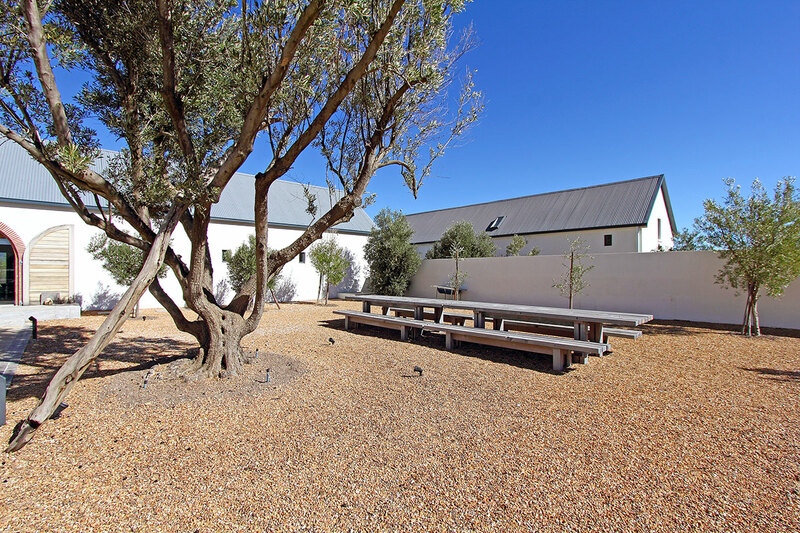 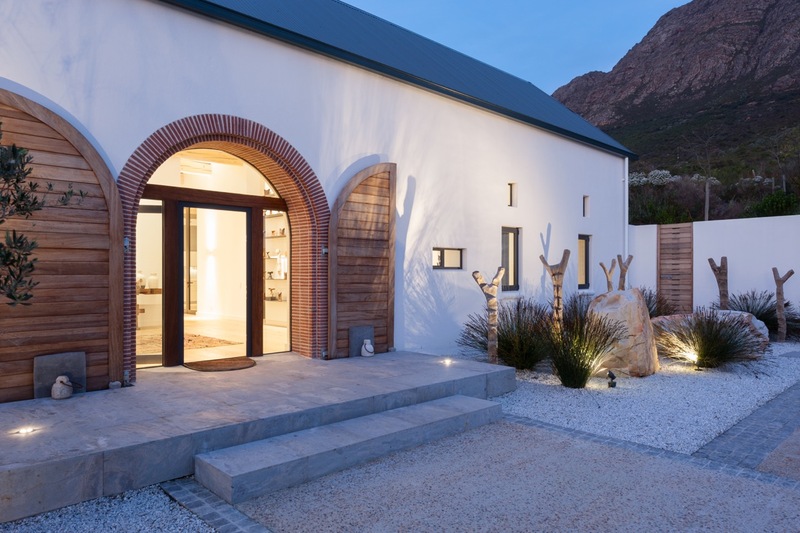 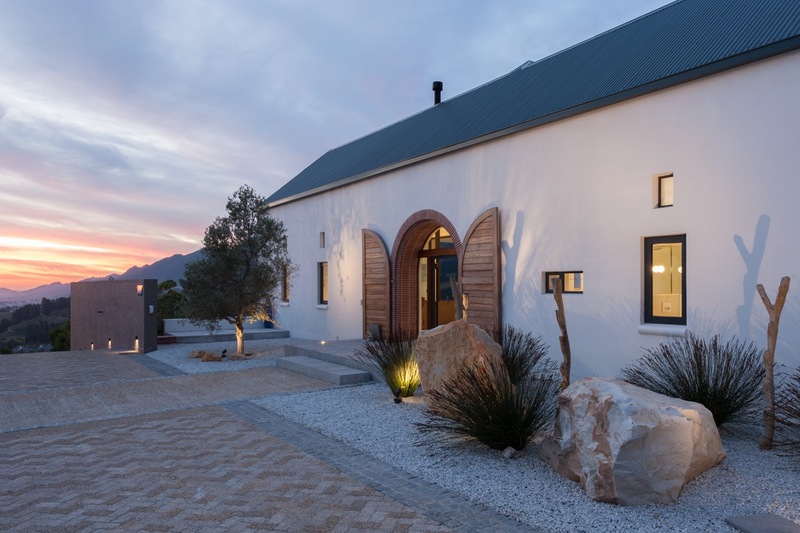 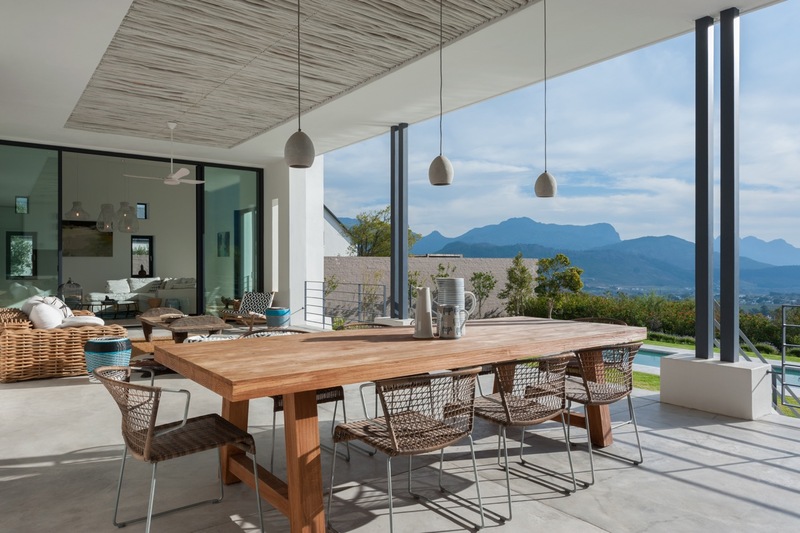 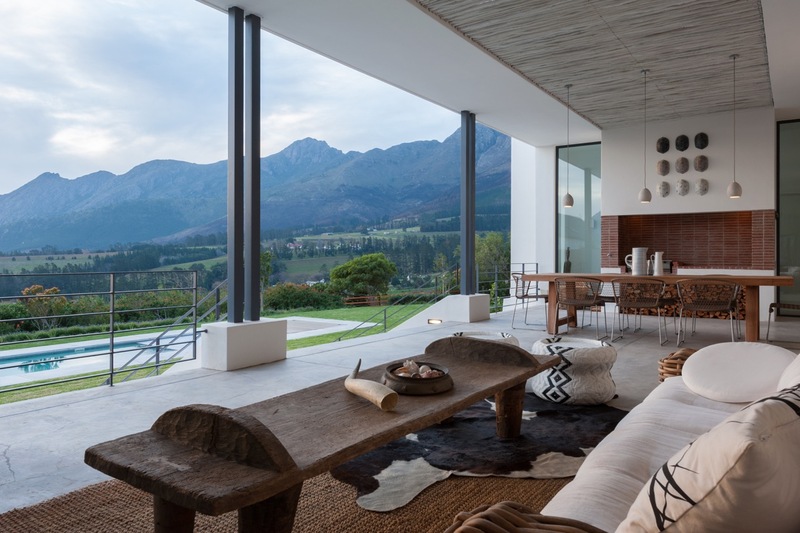 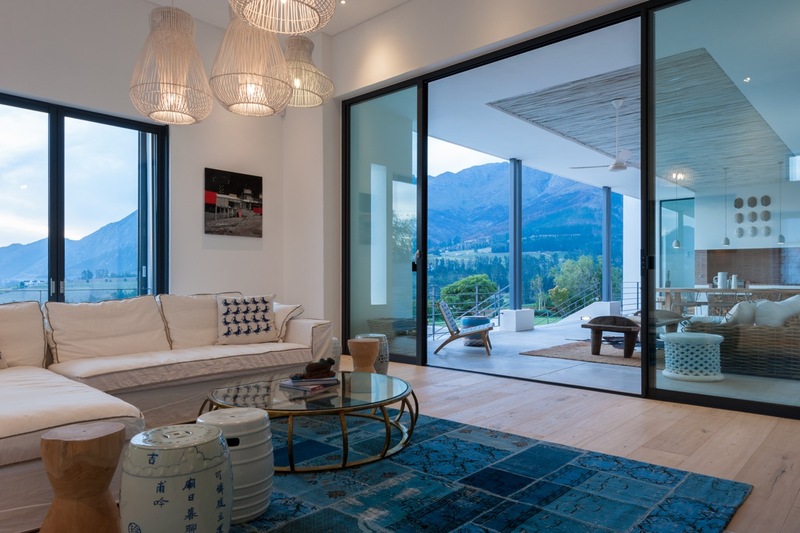 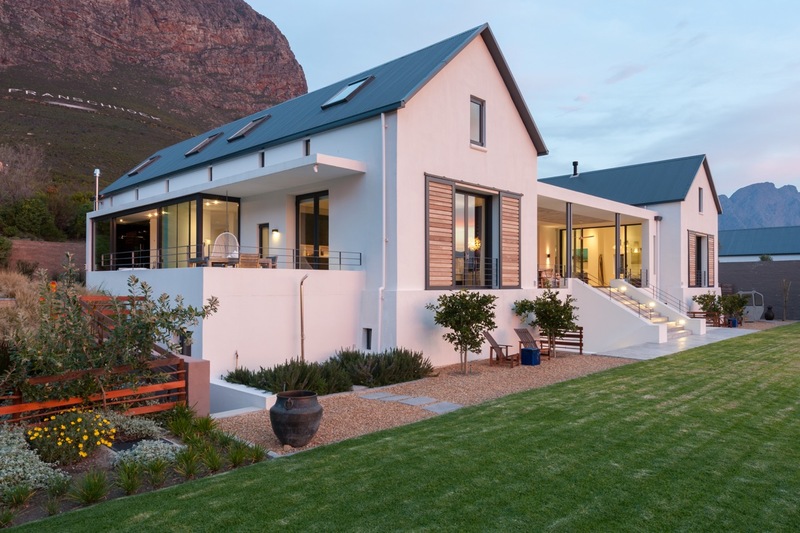 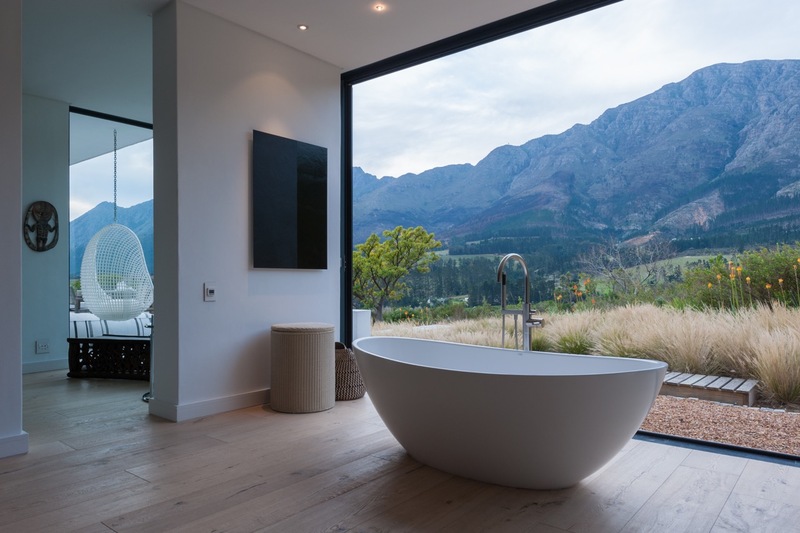 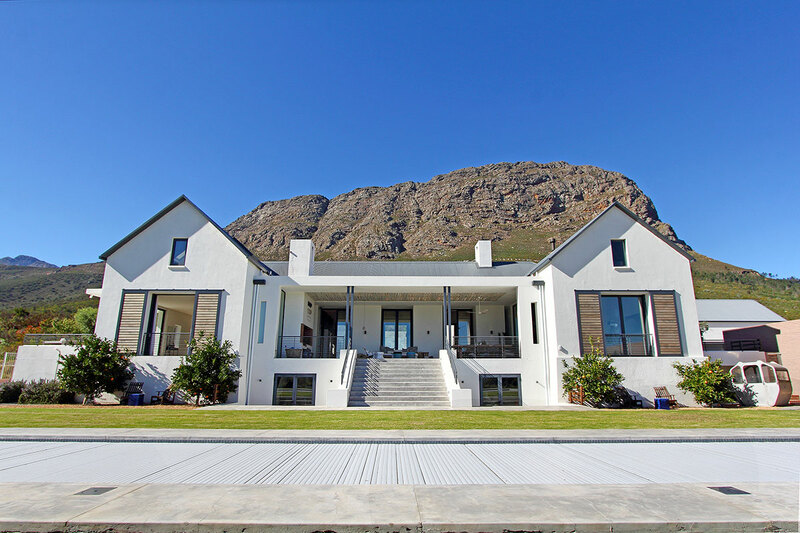 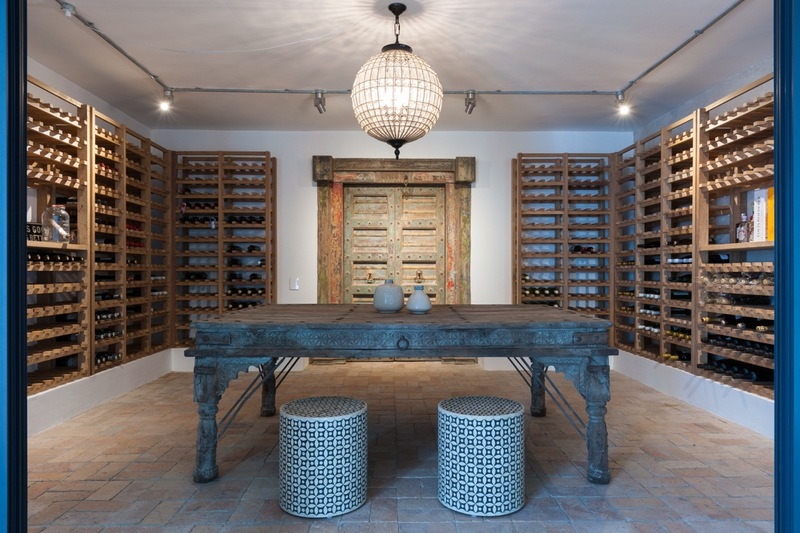 This is without doubt one of the finest homes in Franschhoek. 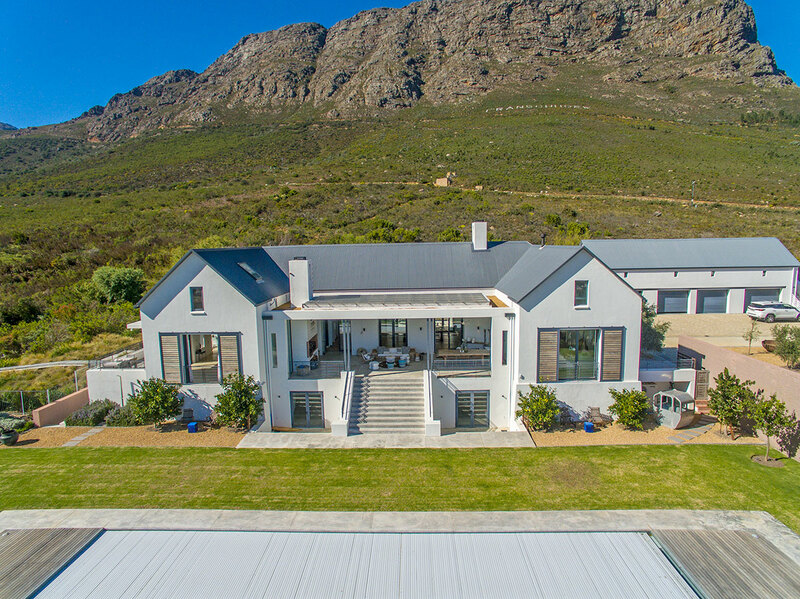 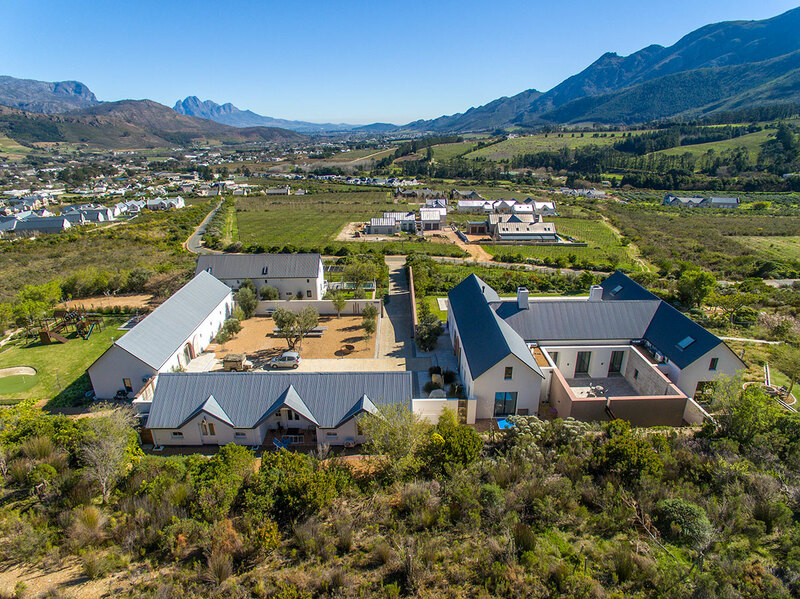 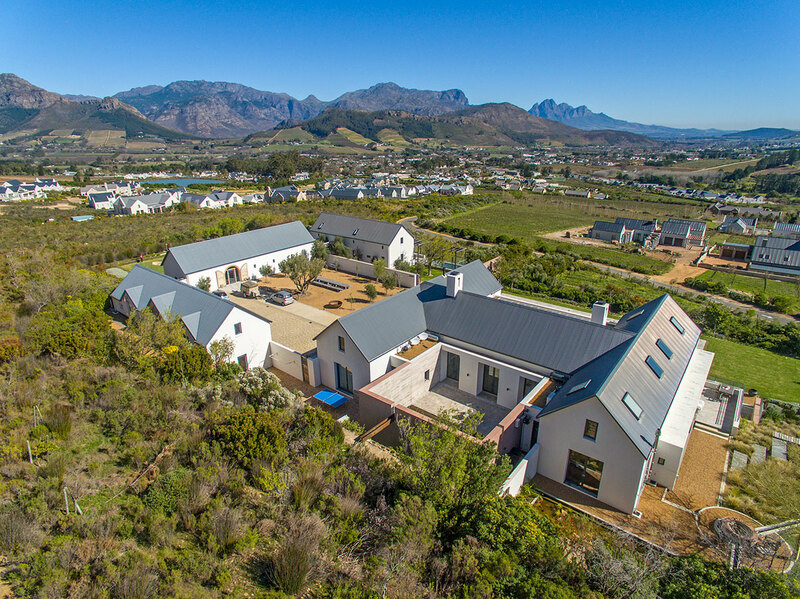 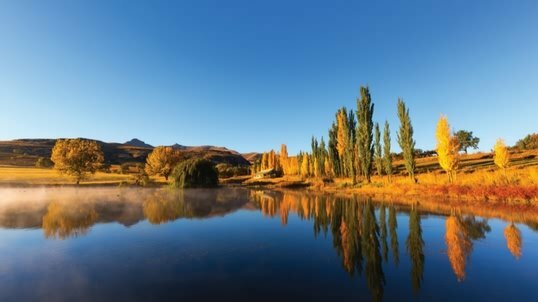 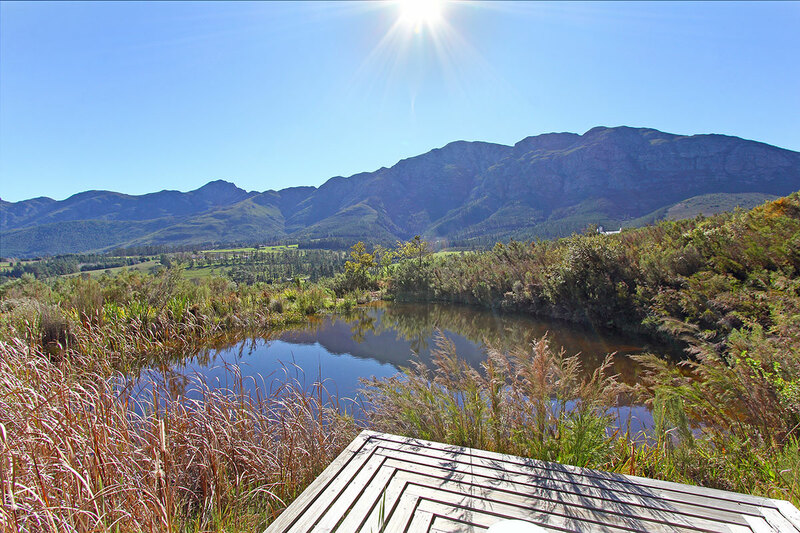 Spectacularly located on one of only nineteen 4,000 sqm “werwe” on the Fransche Hoek Agricultural Estate with glorious views of the valley from it's elevated north-facing position. 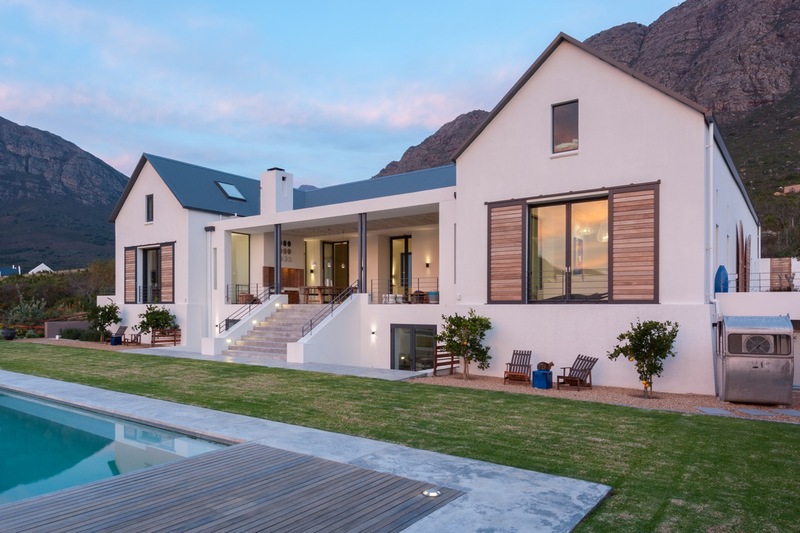 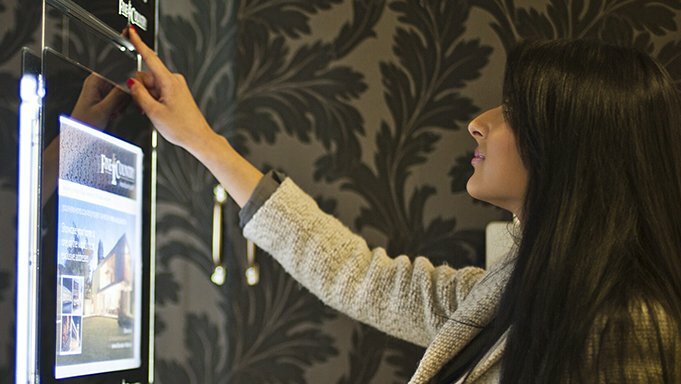 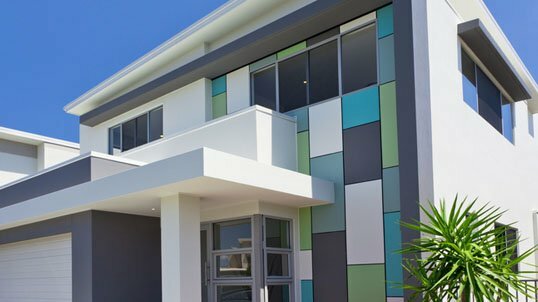 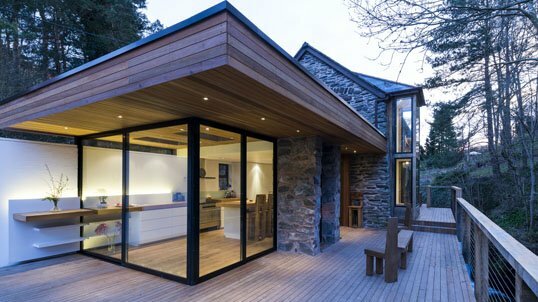 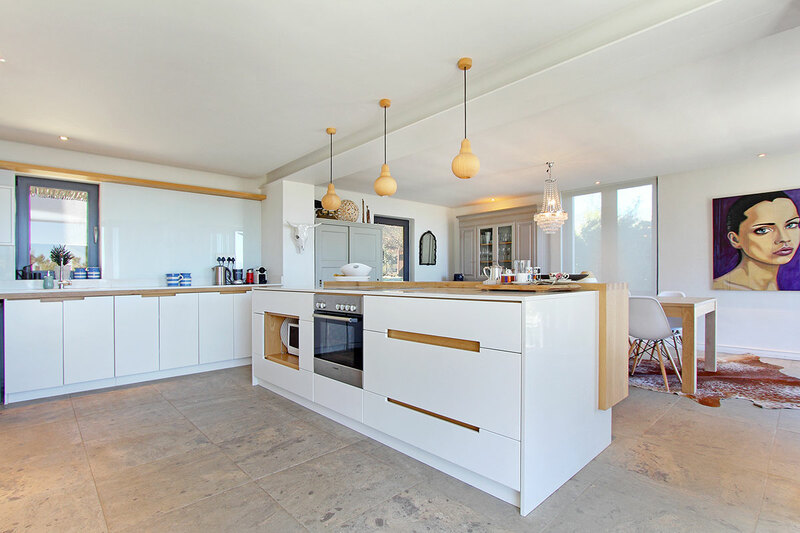 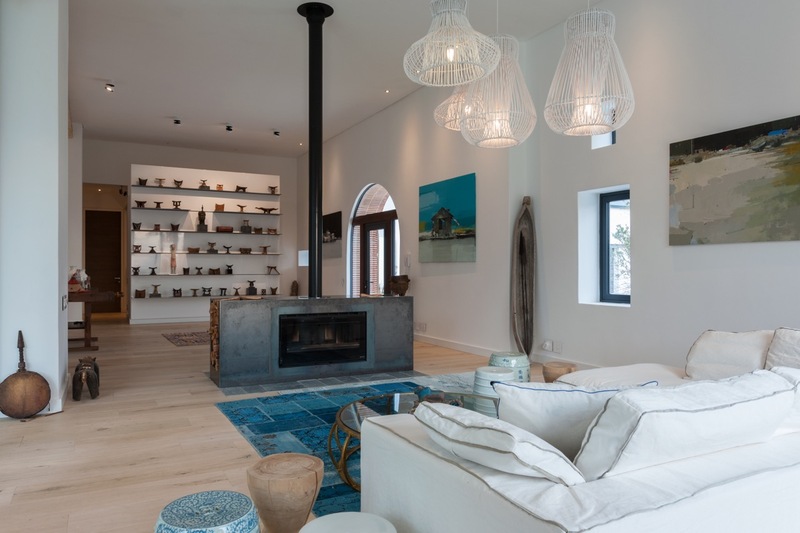 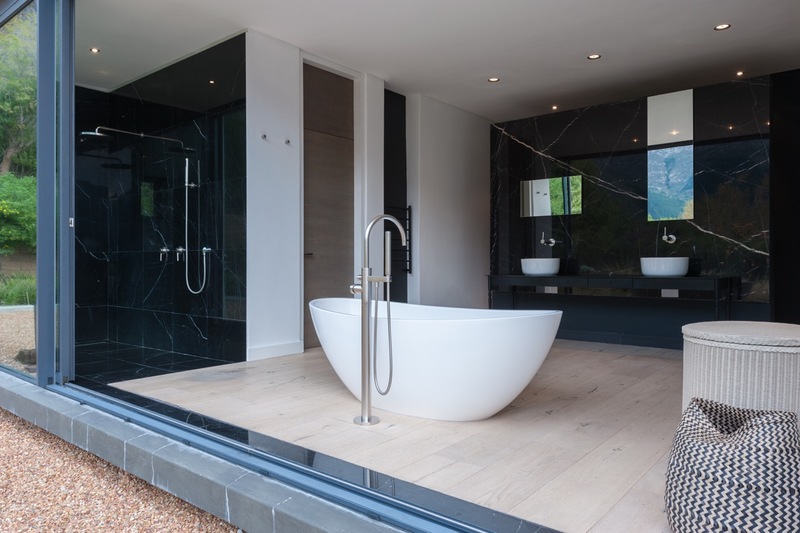 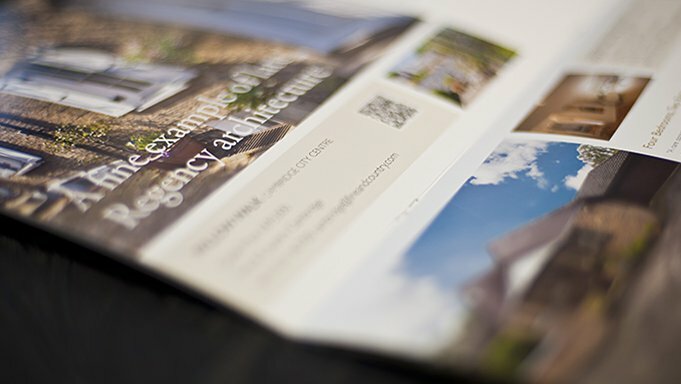 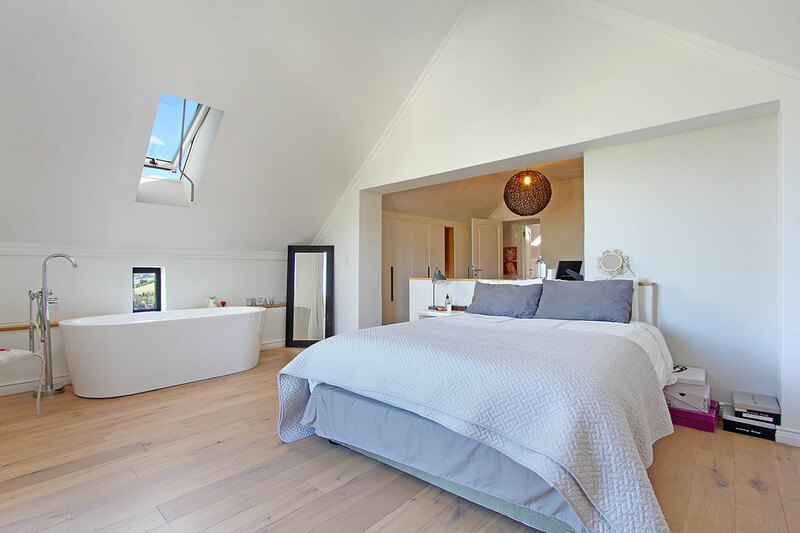 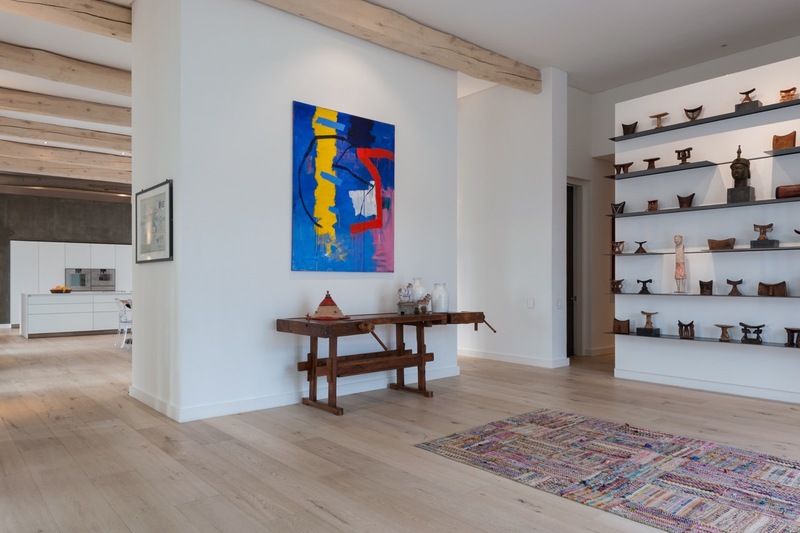 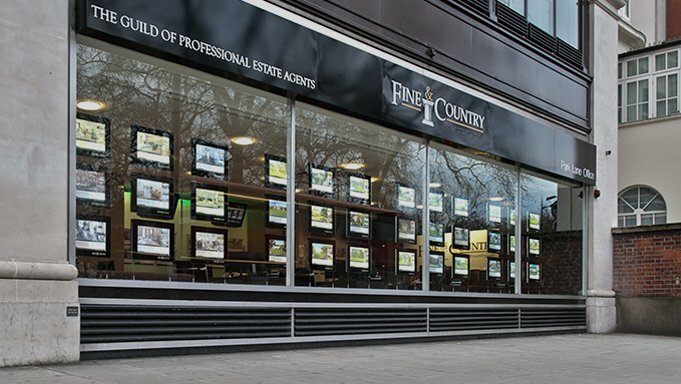 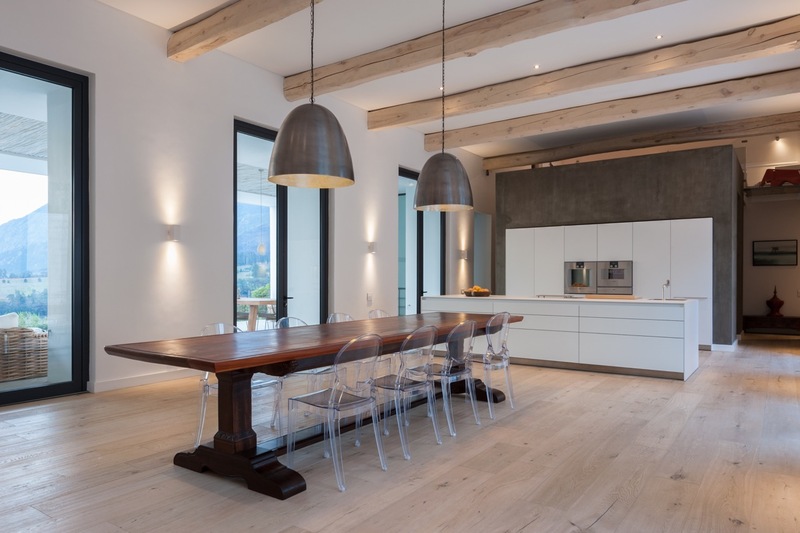 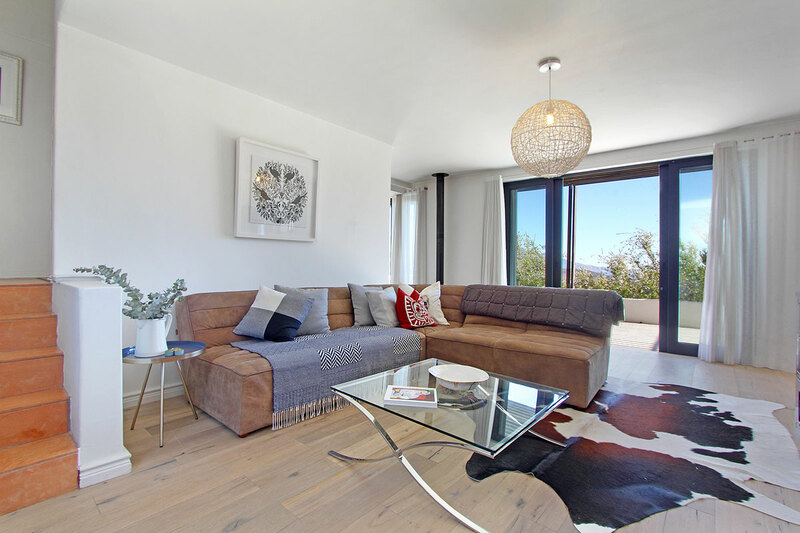 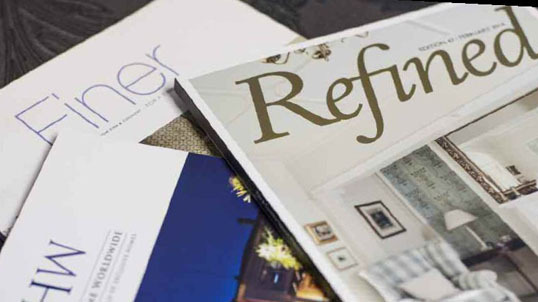 This recently built property has been designed and built to exacting standards and with no expense spared on the finishes including oak floors, fully imported European kitchen, extra height aluminium windows and doors with imported insulation to European standards as well as a water-based underfloor heating system not often seen in South African homes. 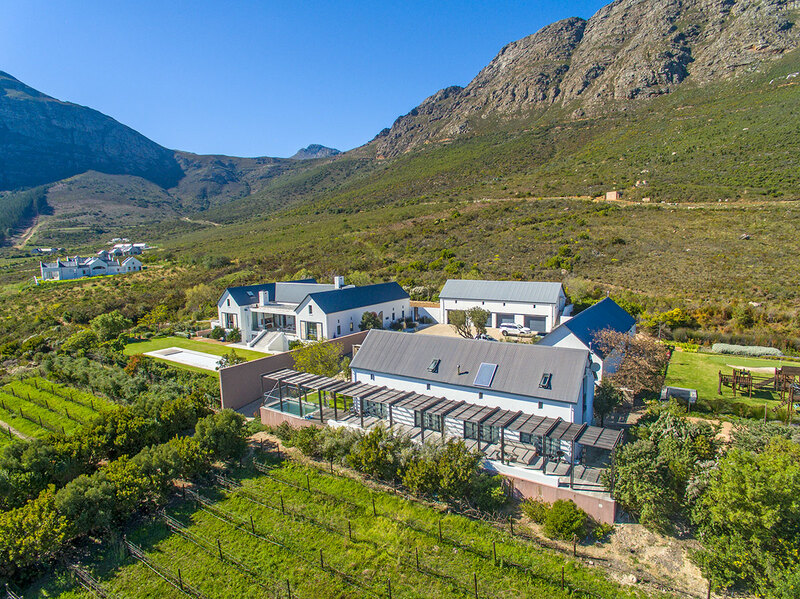 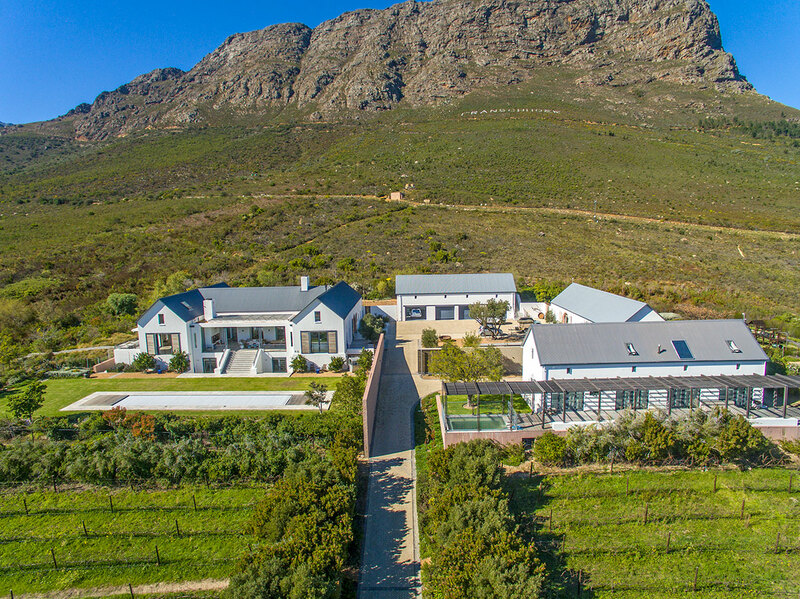 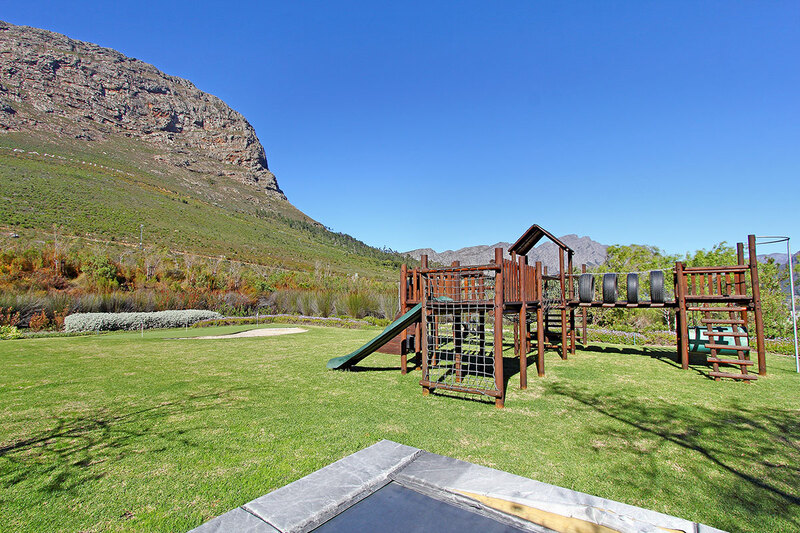 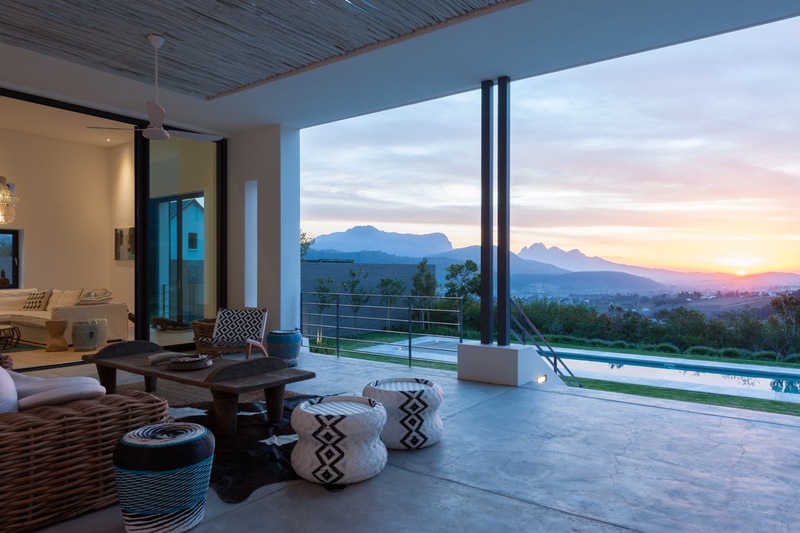 This property sits comfortably in a landscape surrounded by indigenous fynbos, vineyards and olive groves on the slopes of the Drakenstein mountains and benefits from state-of-the-art security within a well managed estate voted in the Top 10 Estates in SA 2017. 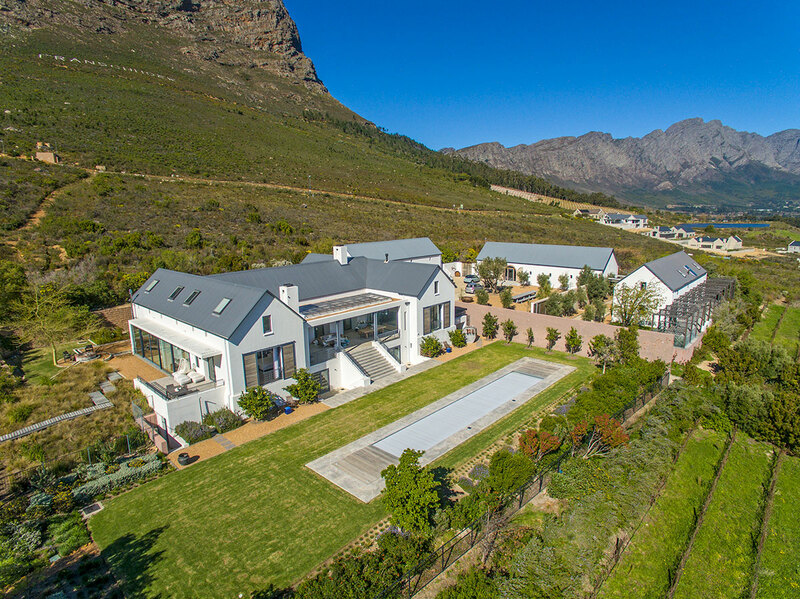 This breath-taking home has generous proportions throughout consisting of four bedrooms, large open plan kitchen with fully imported cabinetry and appliances as well as a walk-in fridge and separate scullery, open-plan dining room, living room with feature fireplace, study/tv room, secondary large office/games room, and basement wine production and storage cellar. 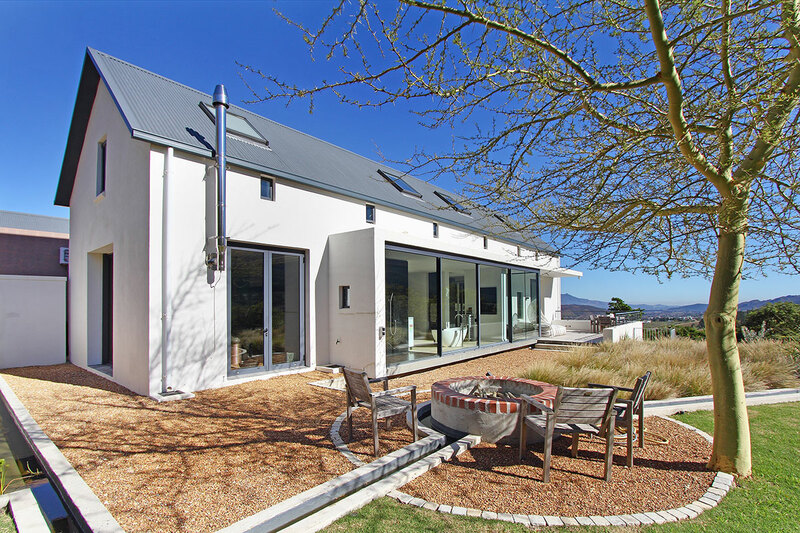 Complementing the interior is a spacious undercover stoep with stunning views overlooking the lap pool and garden to the valley beyond. 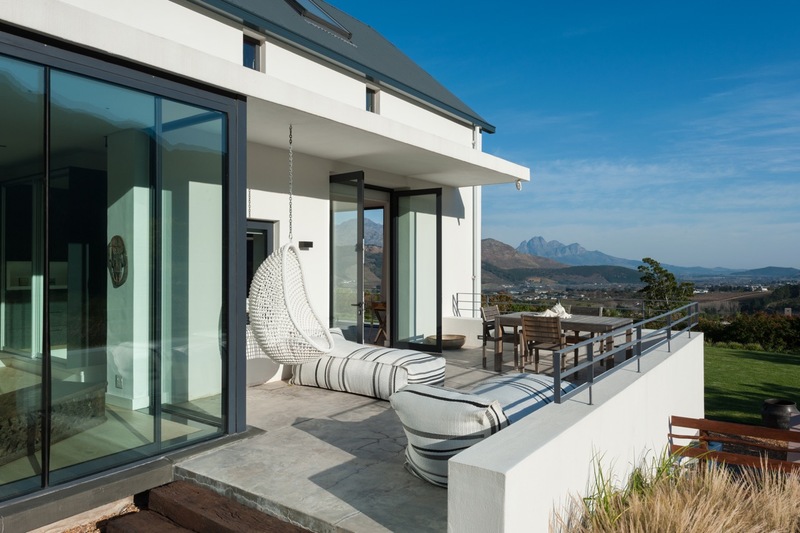 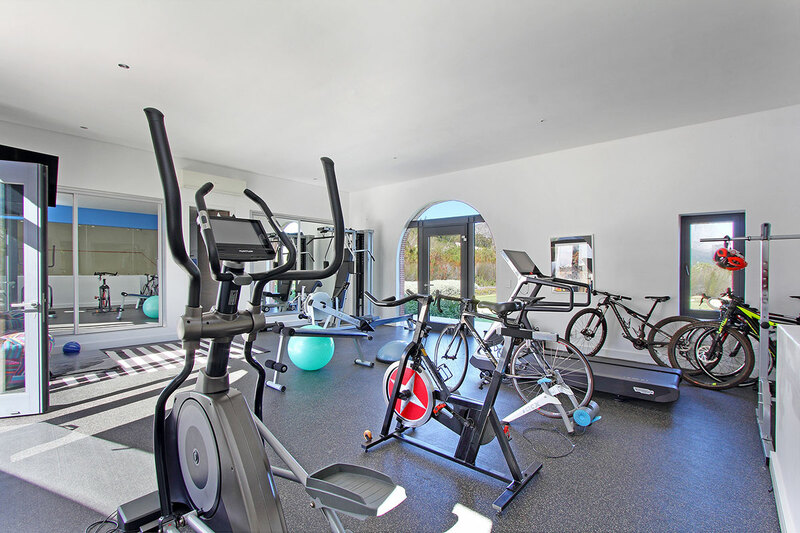 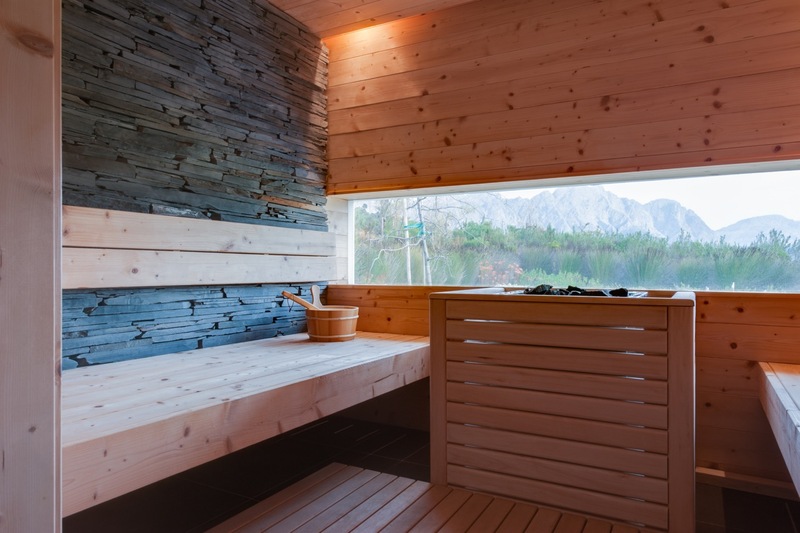 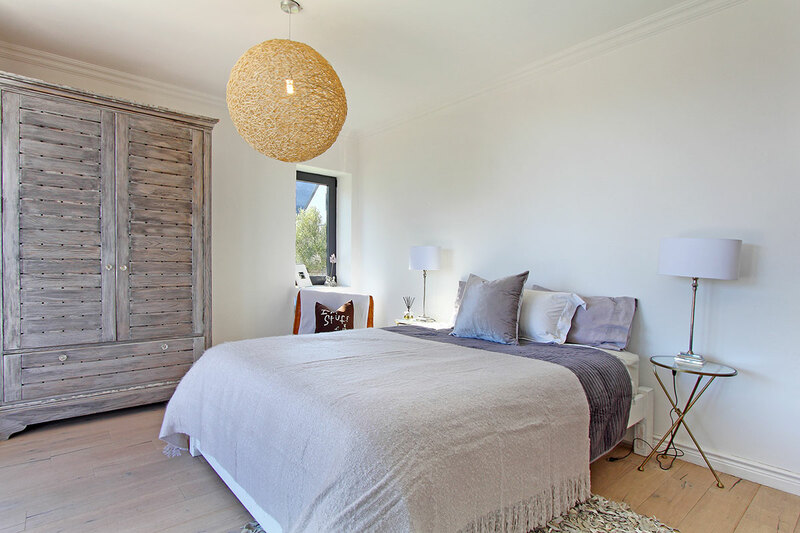 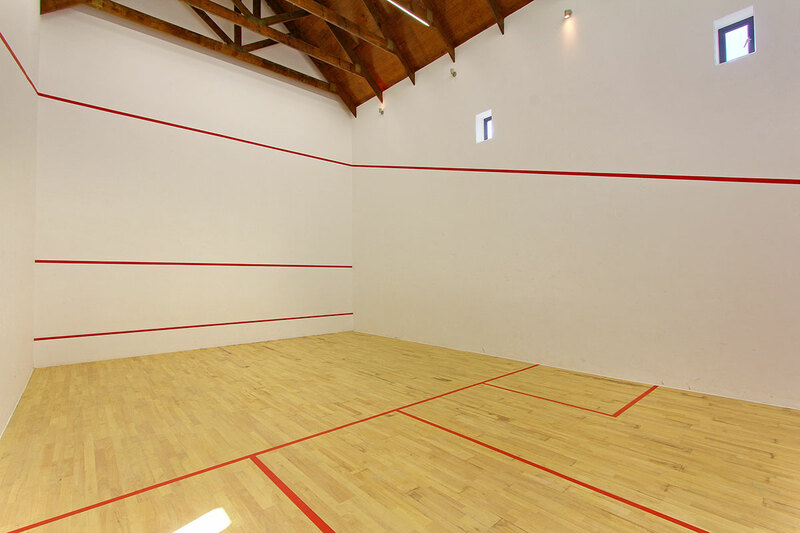 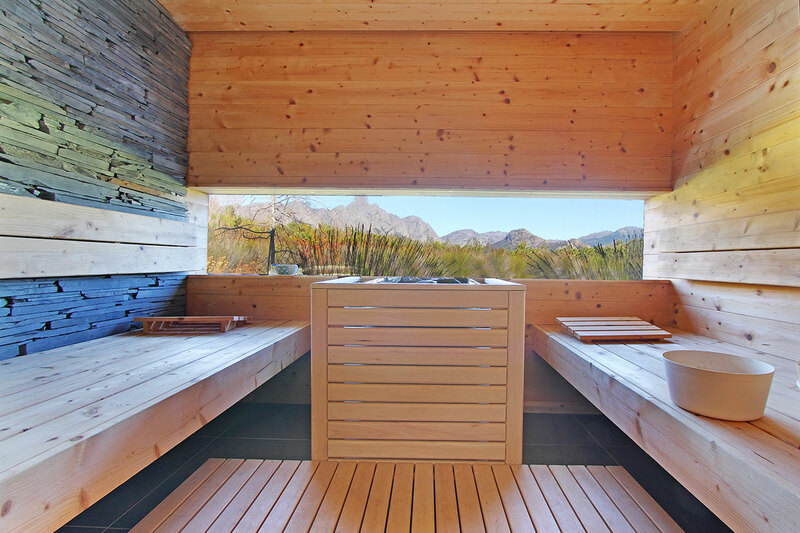 A central courtyard leads to a private gym, including a sauna with views overlooking the fynbos, and Franschhoek's only squash court! 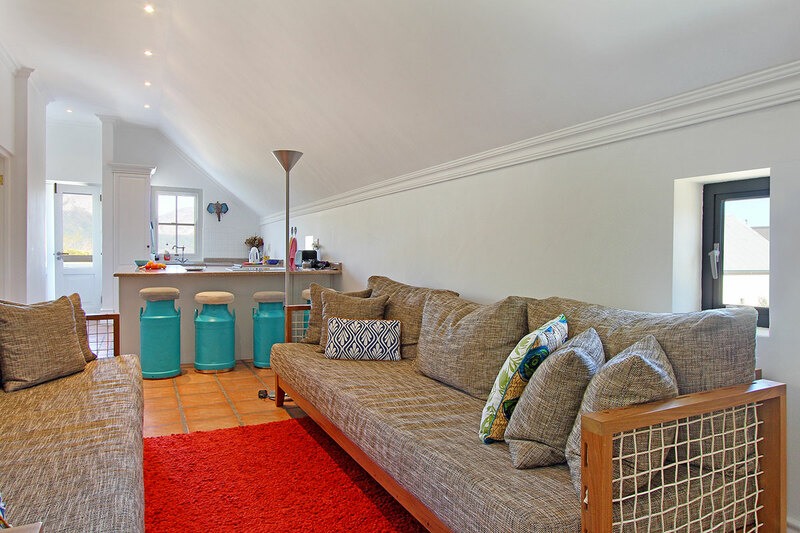 There is a separate double-storey, three bedroom cottage built to the same high standards and with a completely separate entrance as well as a further two bed apartment above the four car garage. 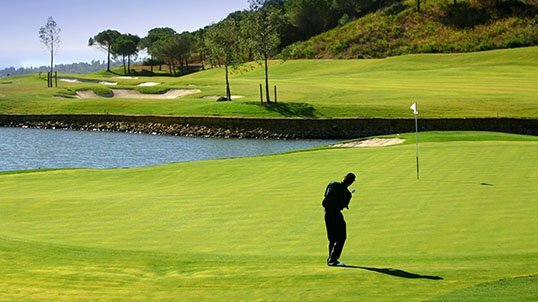 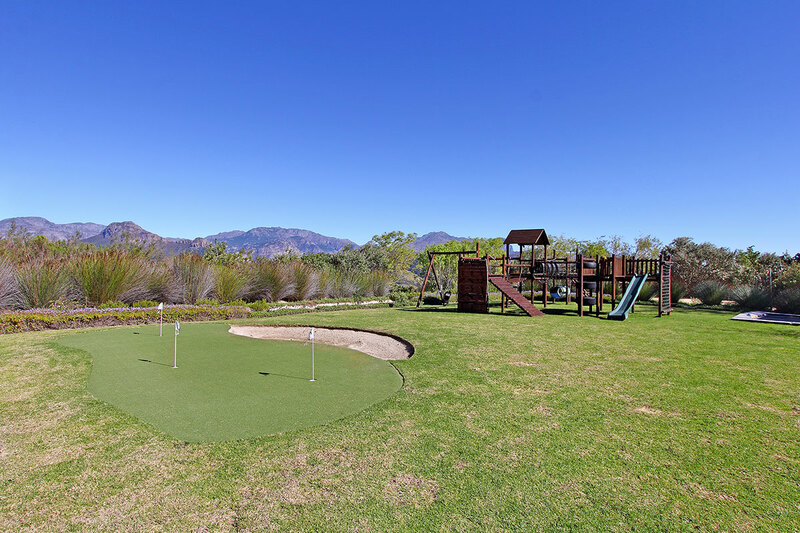 The extensive outside areas include a small putting green, children's jungle gym, a small lake, and various outside courtyard areas. 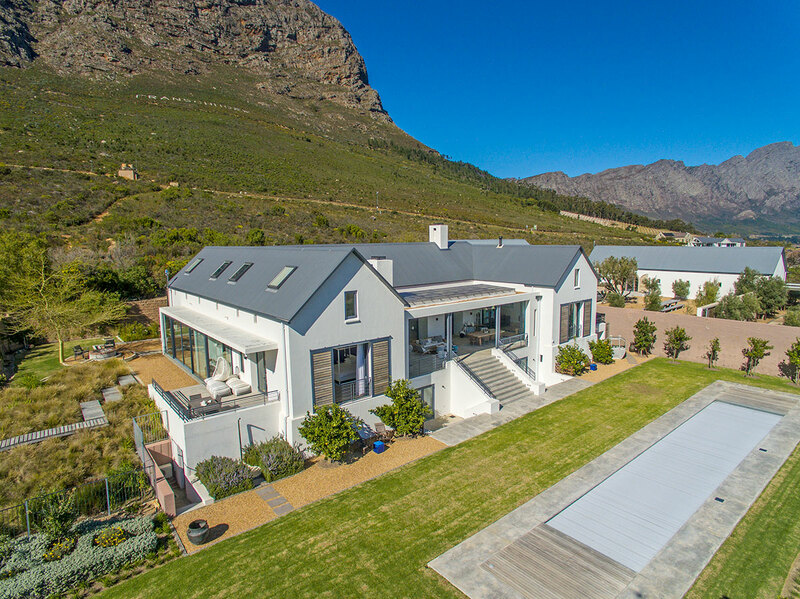 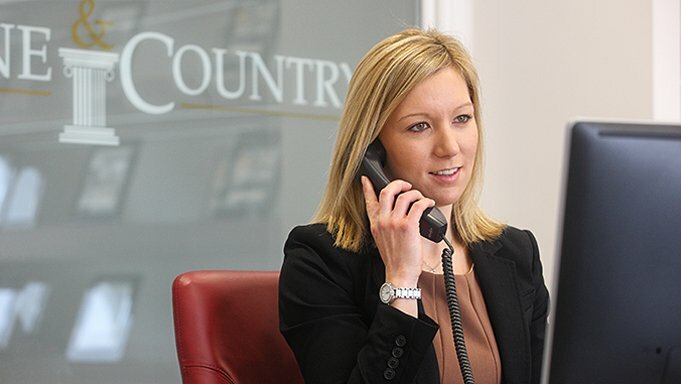 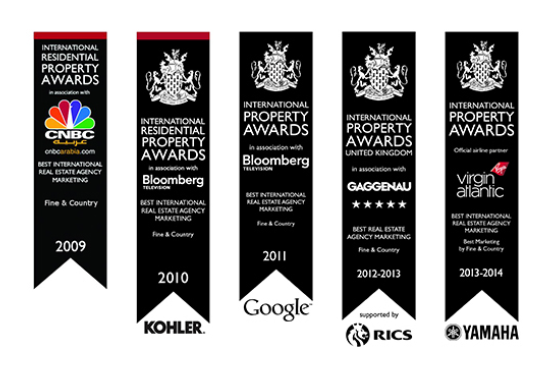 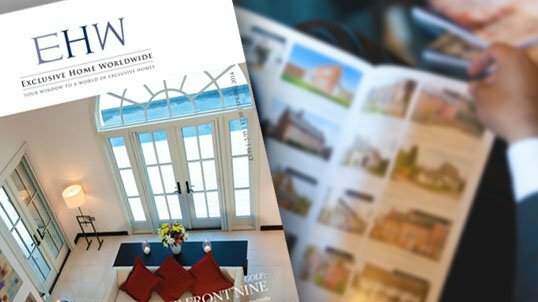 This is a magnificent property in a stunning location which must be viewed.